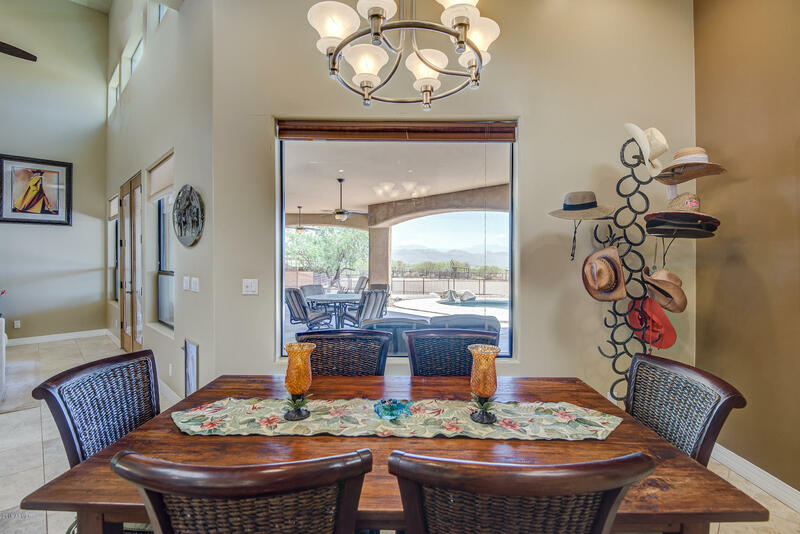 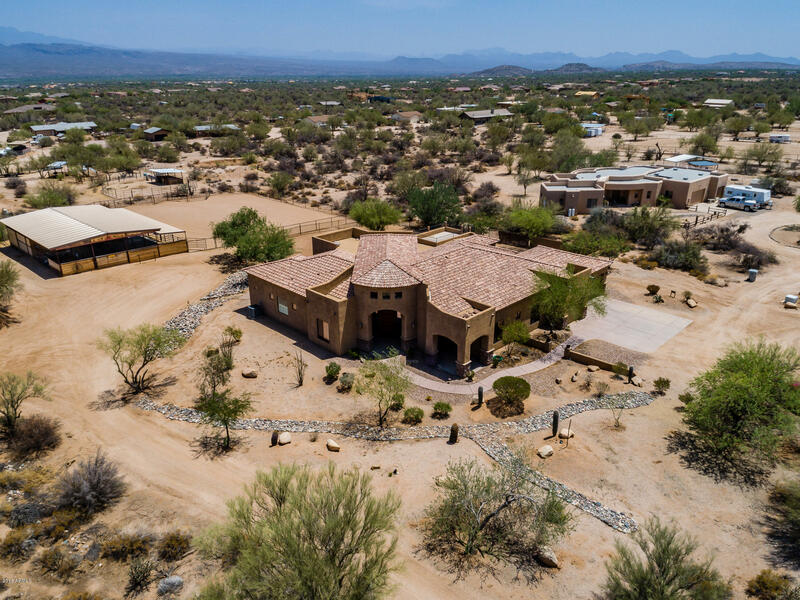 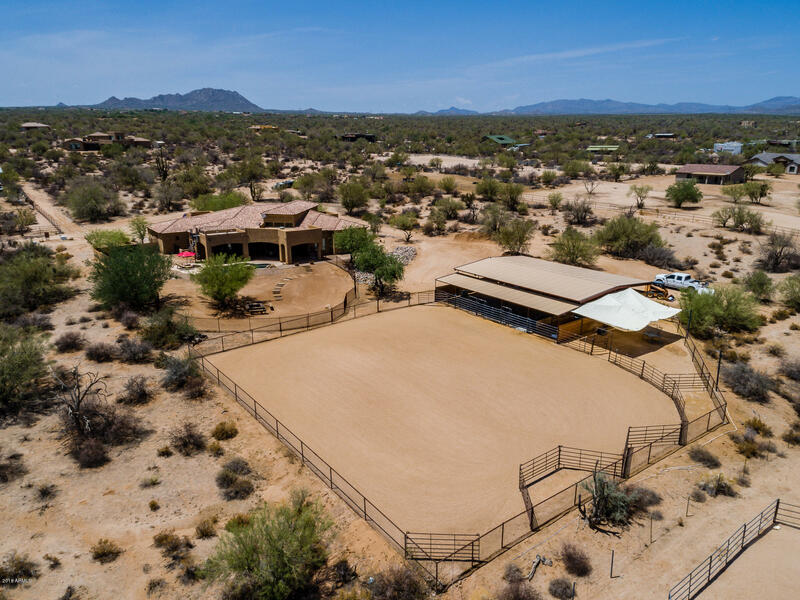 Beautiful custom home on 5 acres with horse barn & spectacular mountain views! 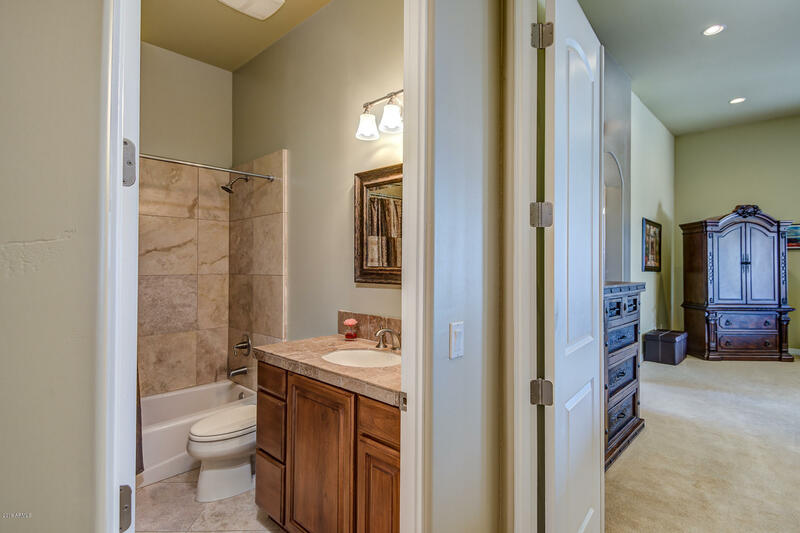 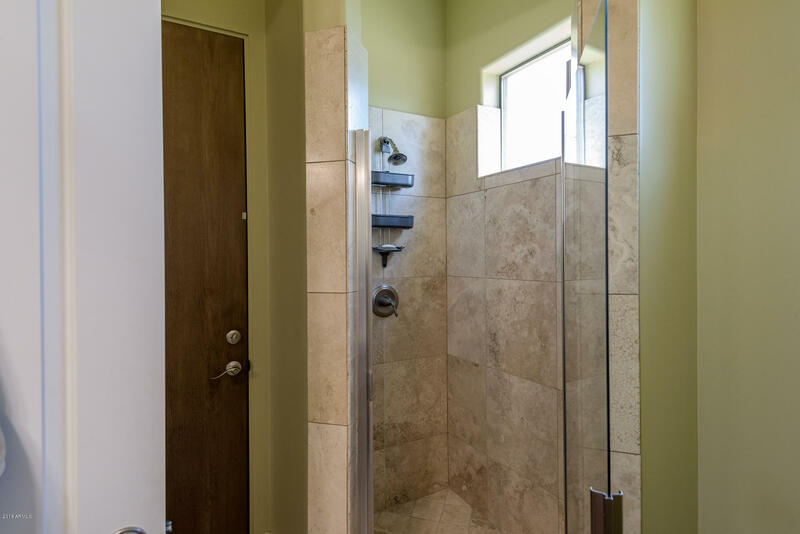 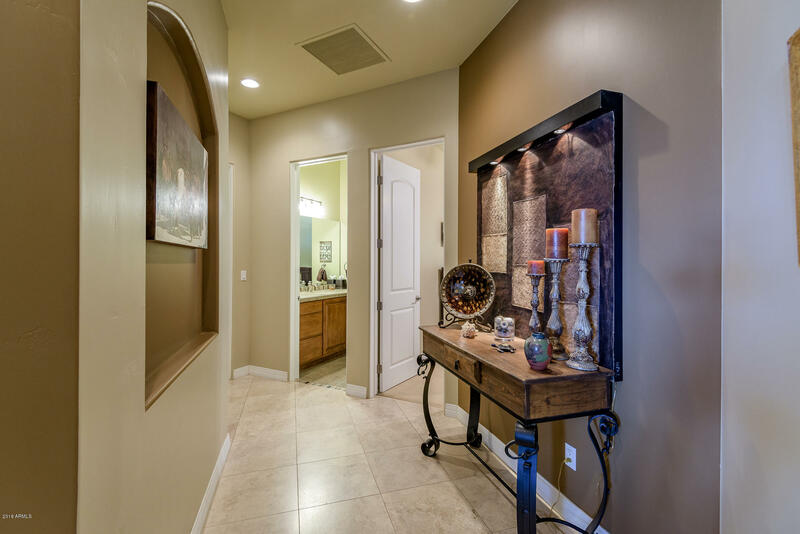 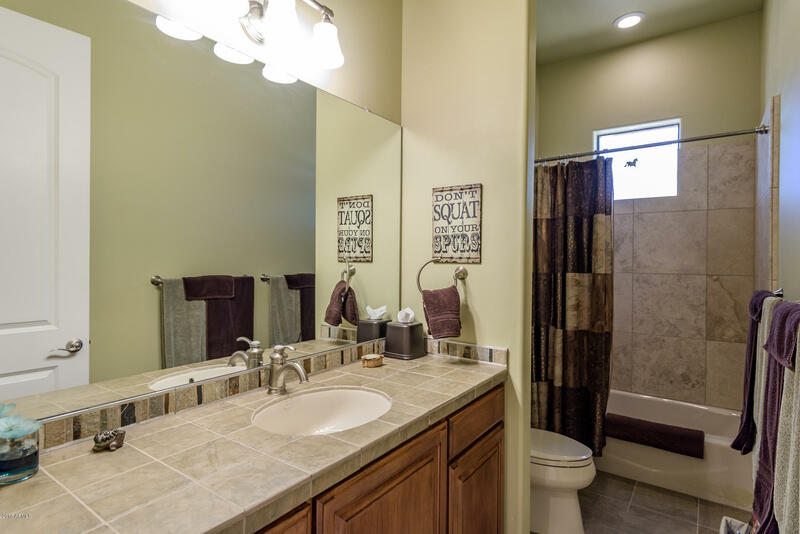 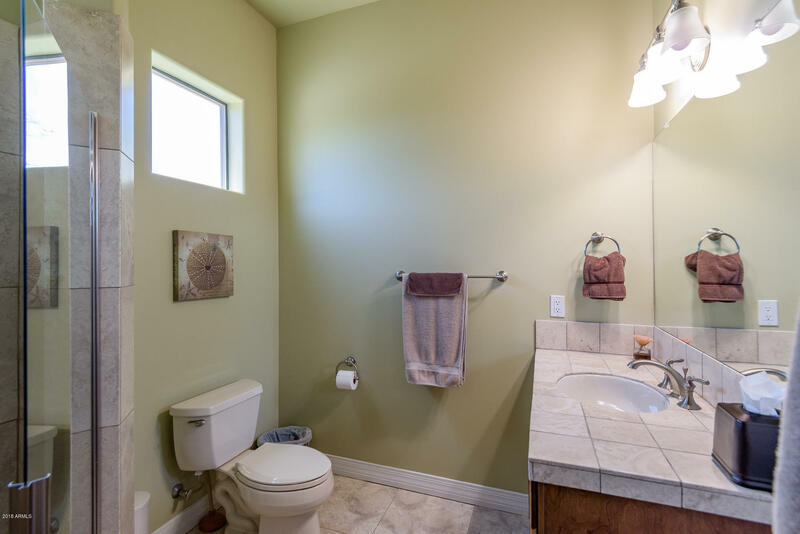 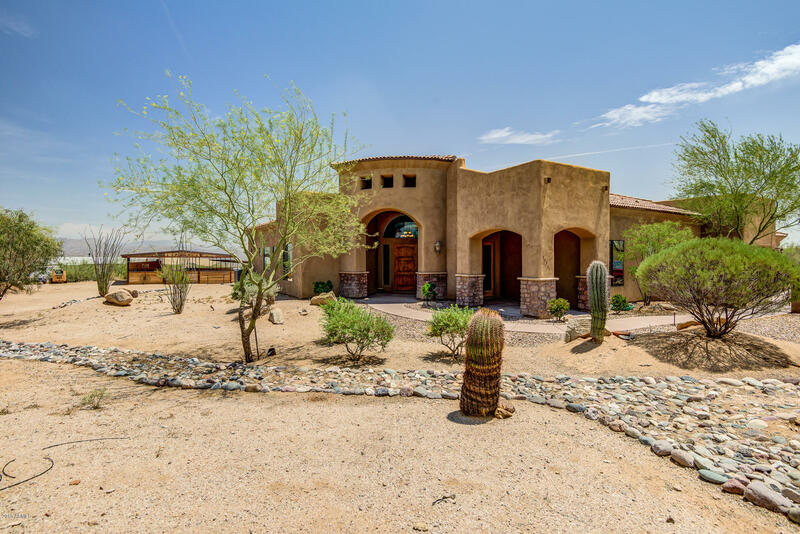 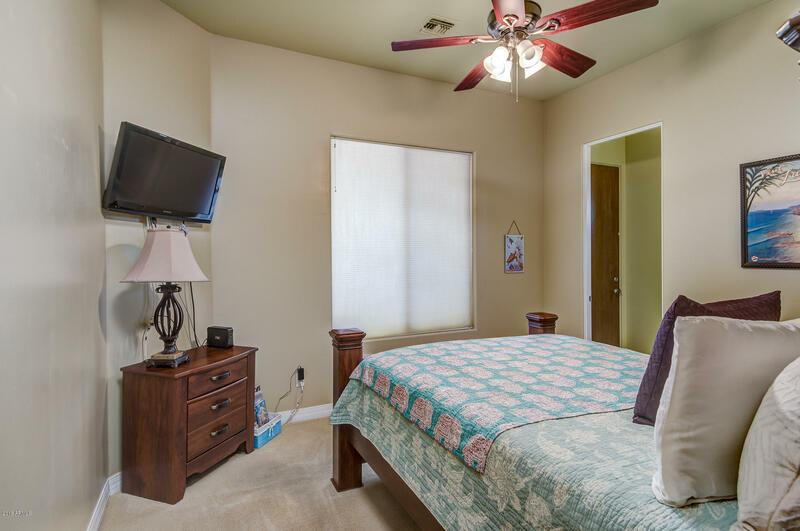 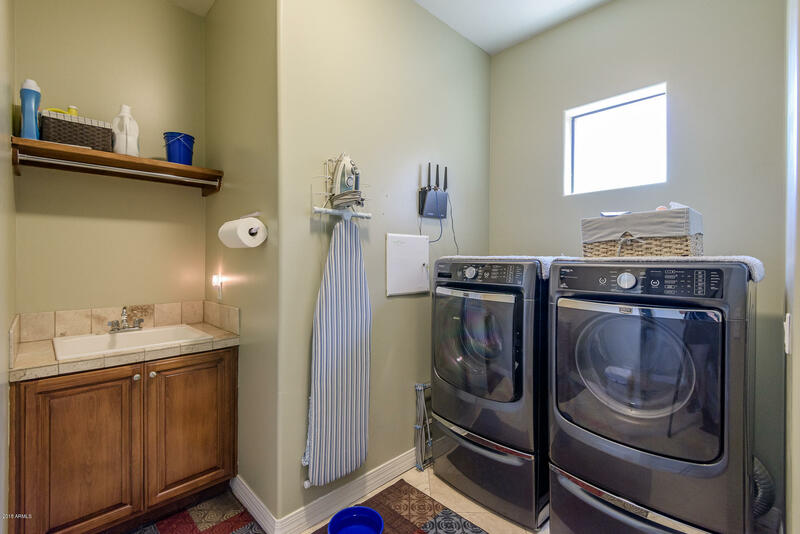 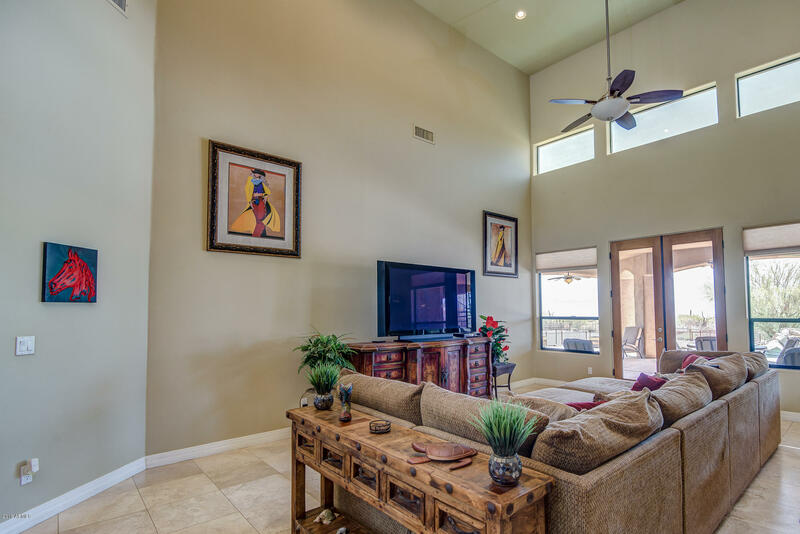 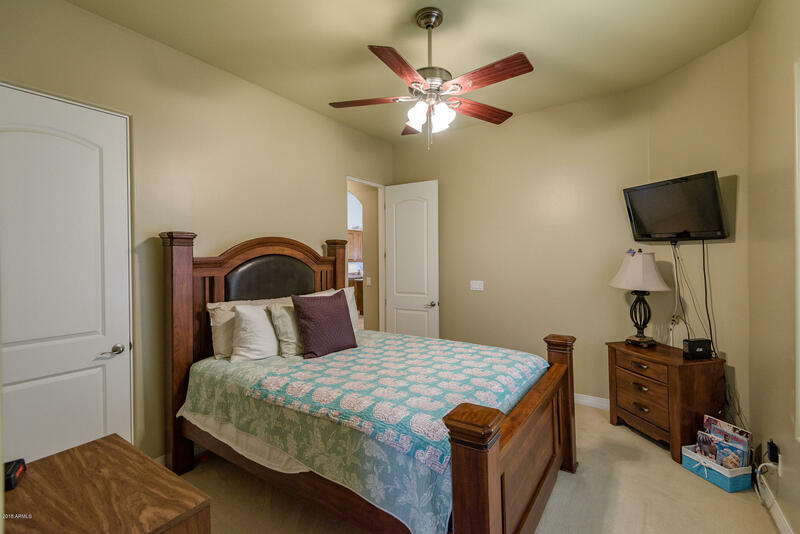 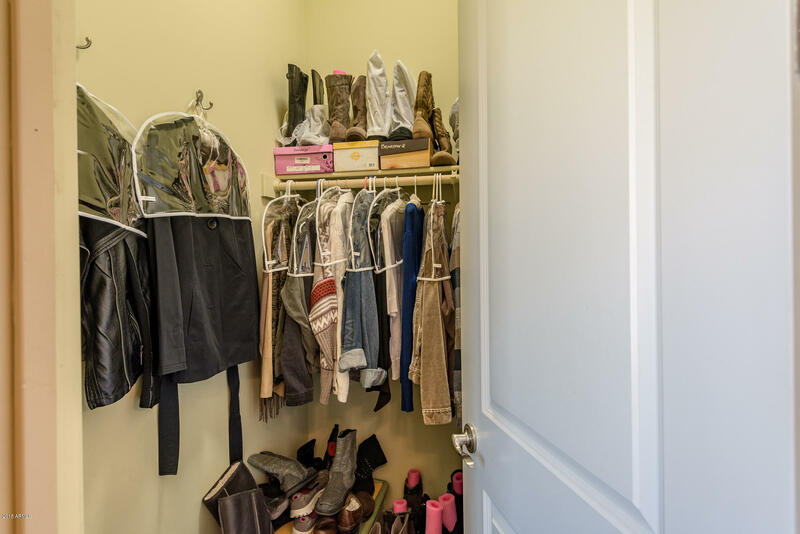 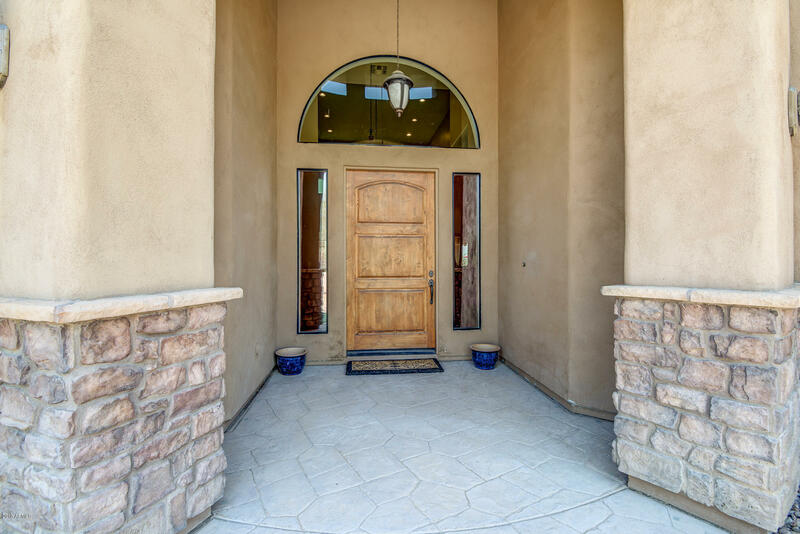 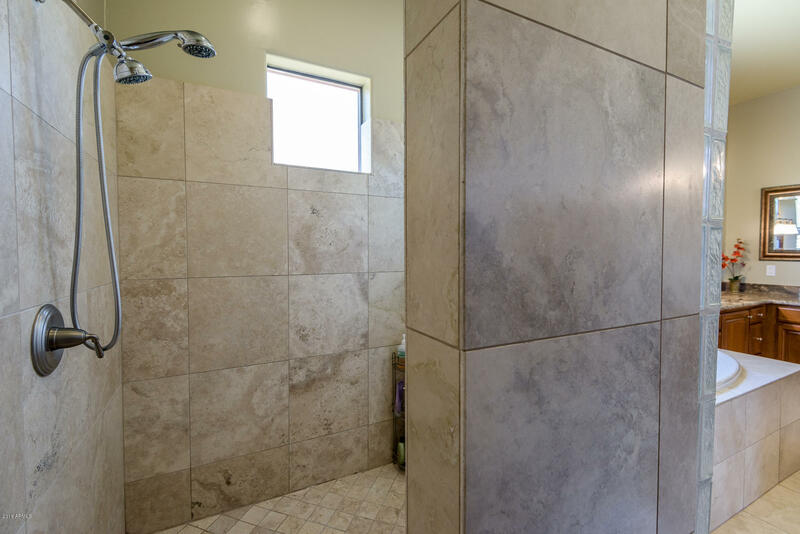 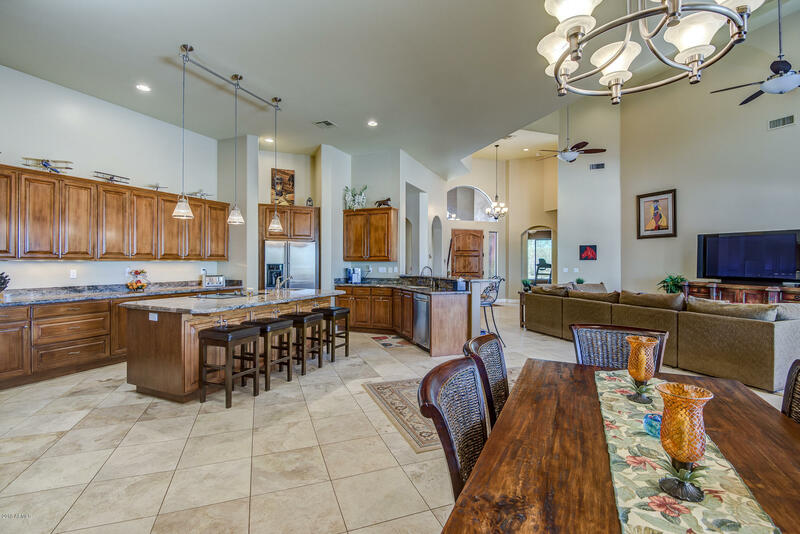 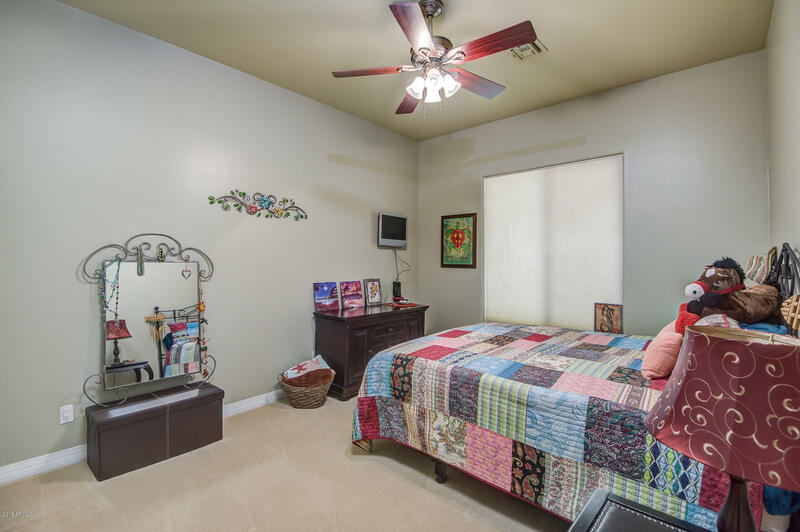 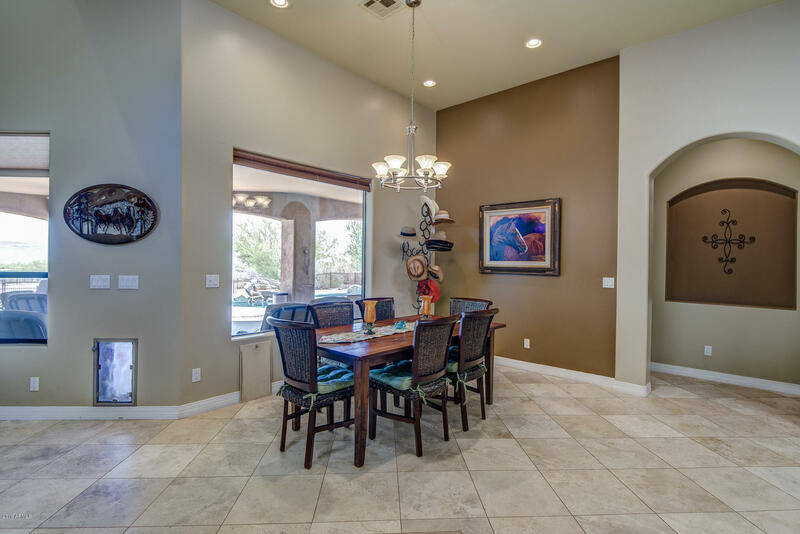 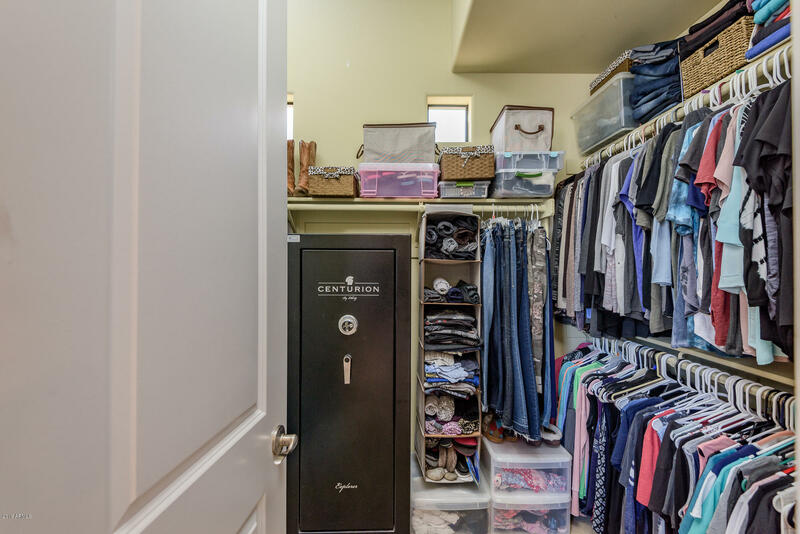 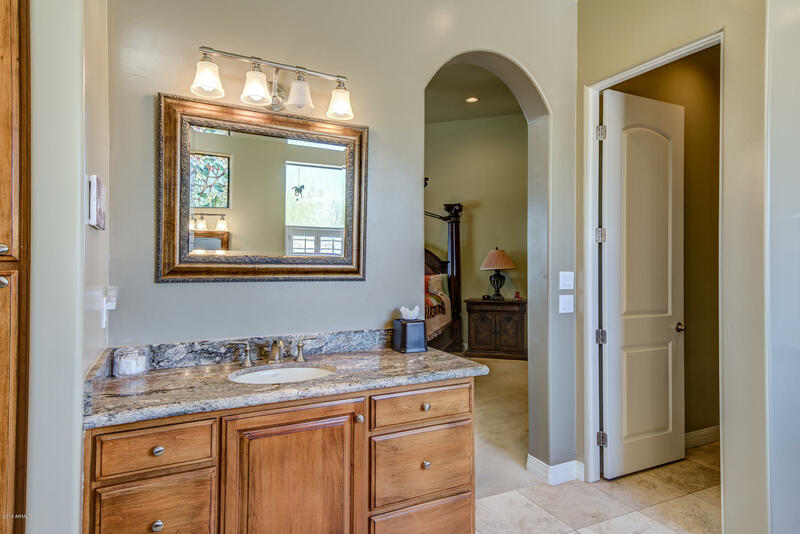 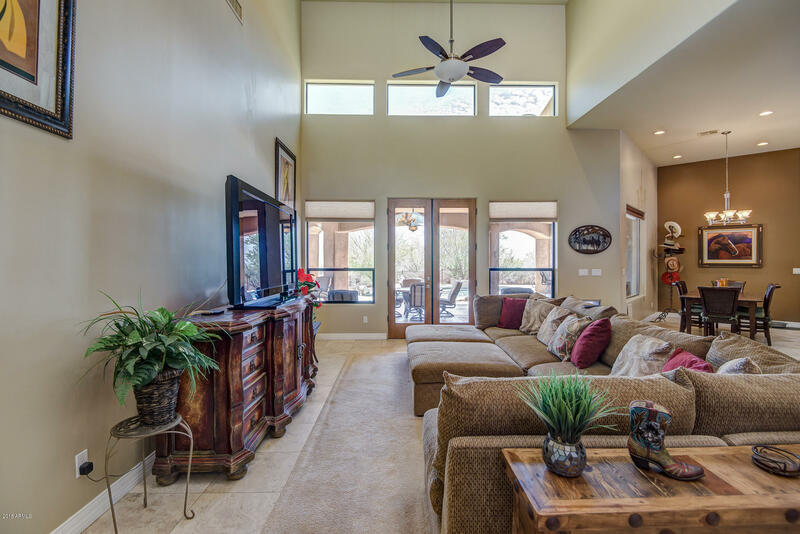 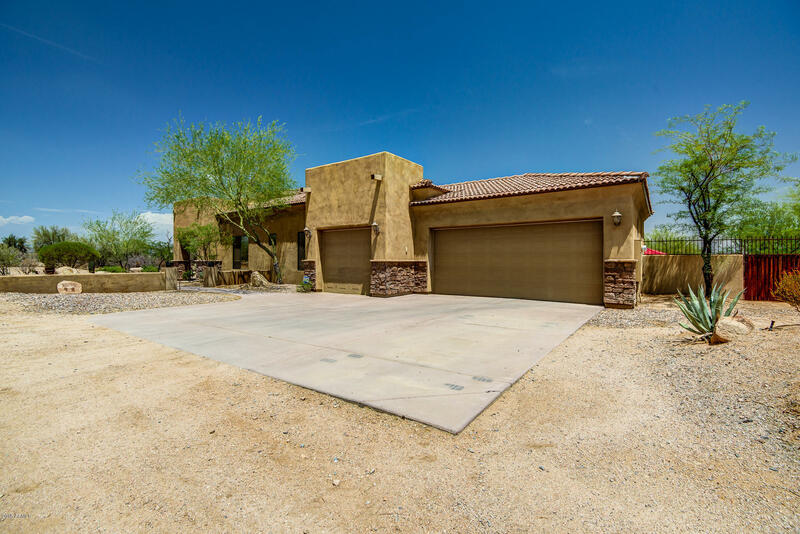 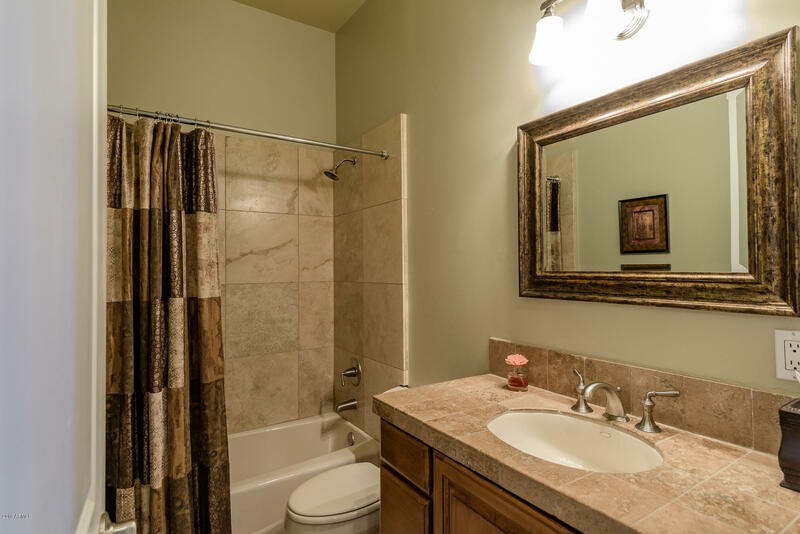 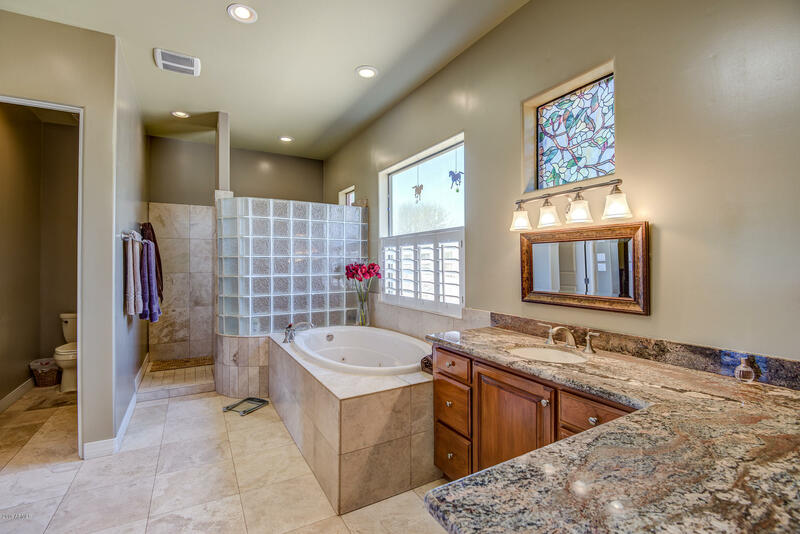 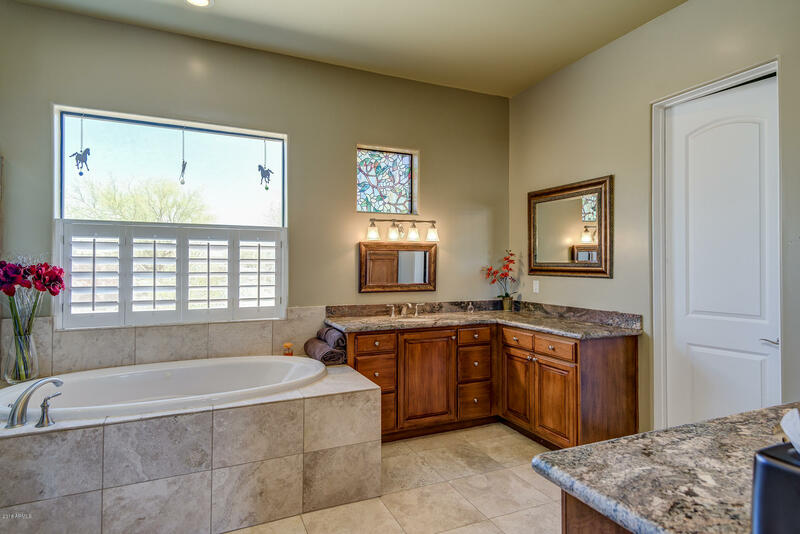 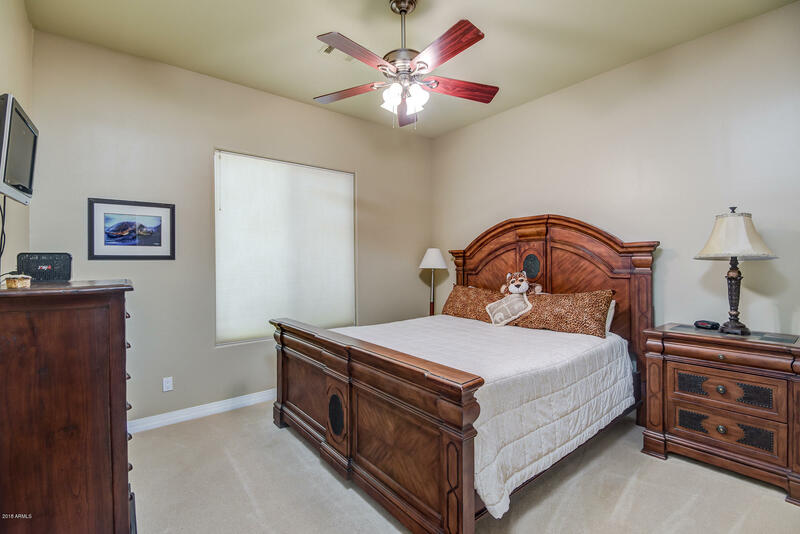 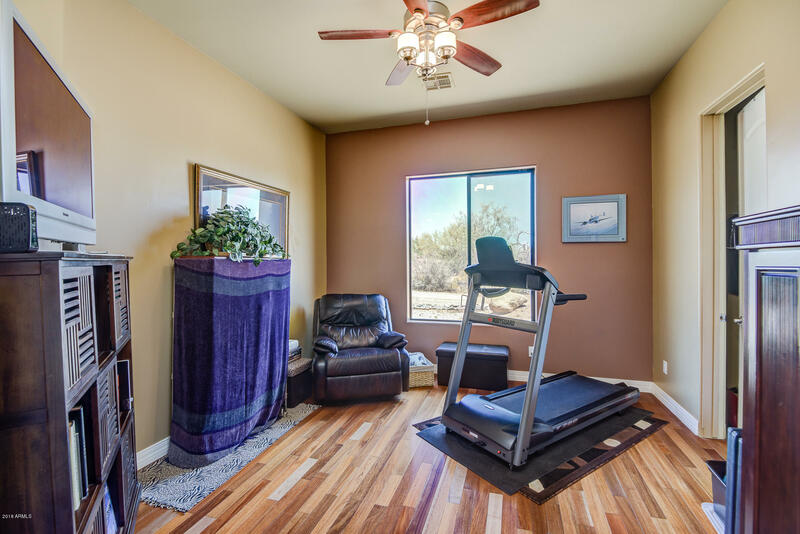 This wonderfully maintained home has it all with a flowing open floor plan. 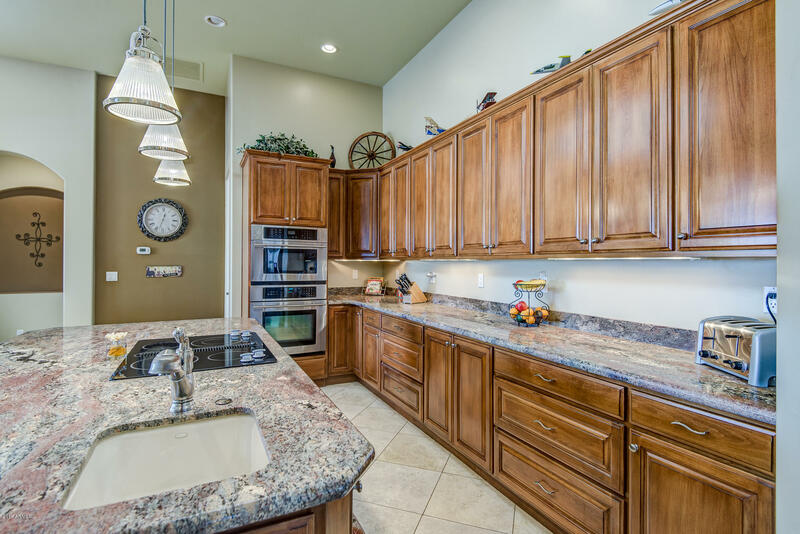 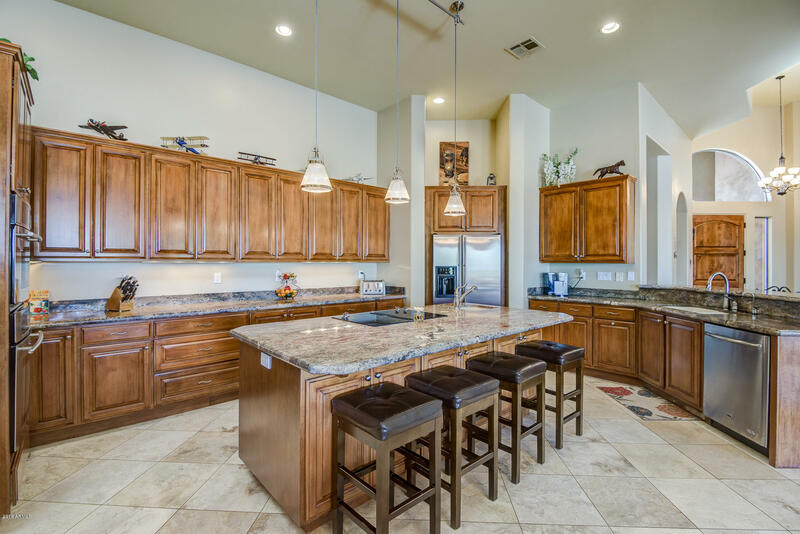 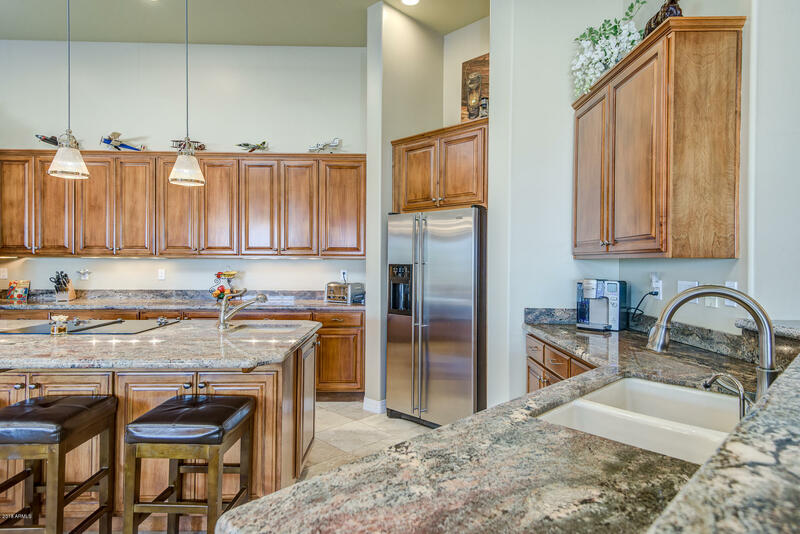 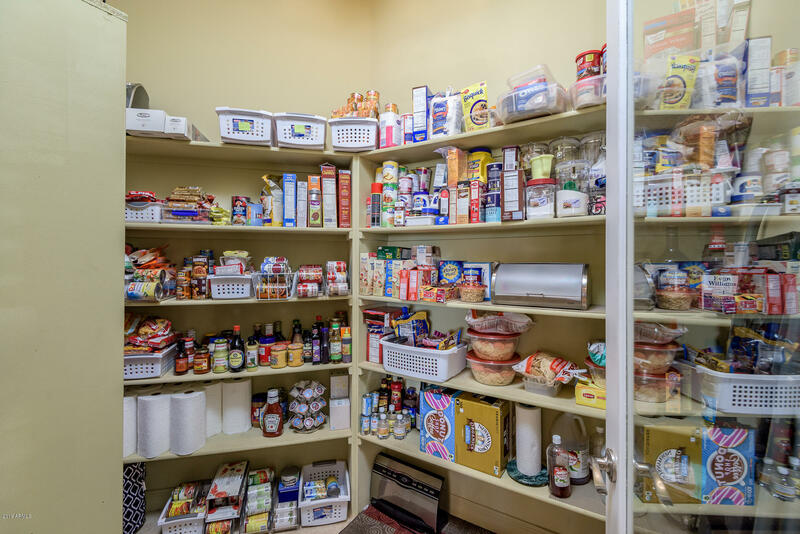 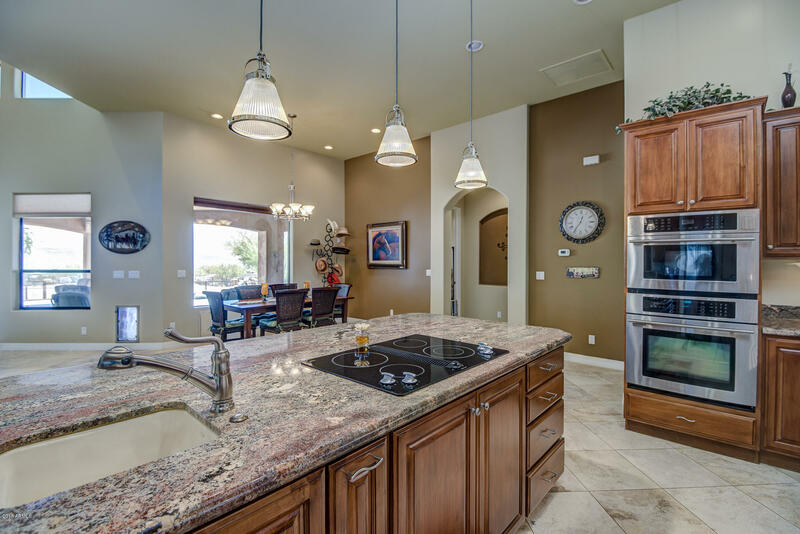 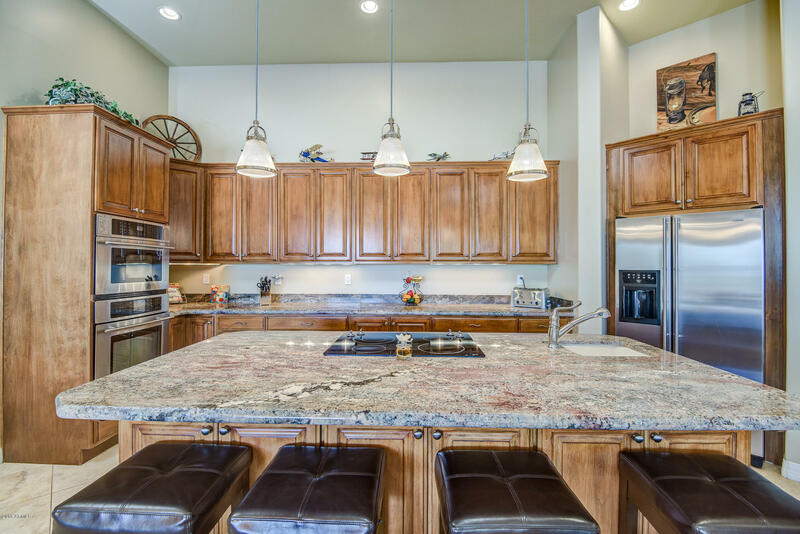 Entertain from the large kitchen that has ample storage for all your family & entertaining needs. 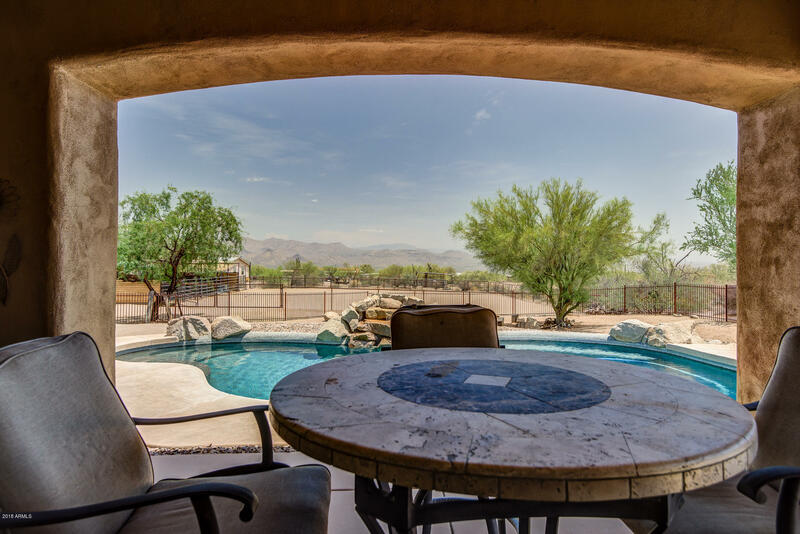 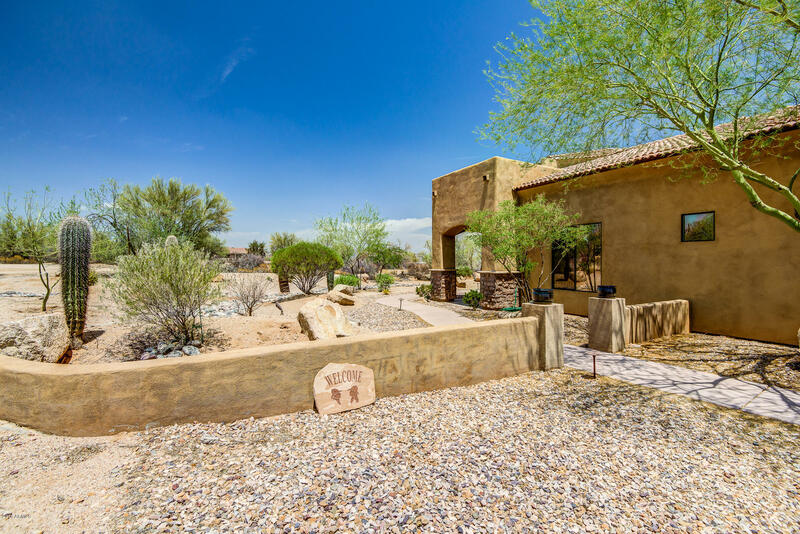 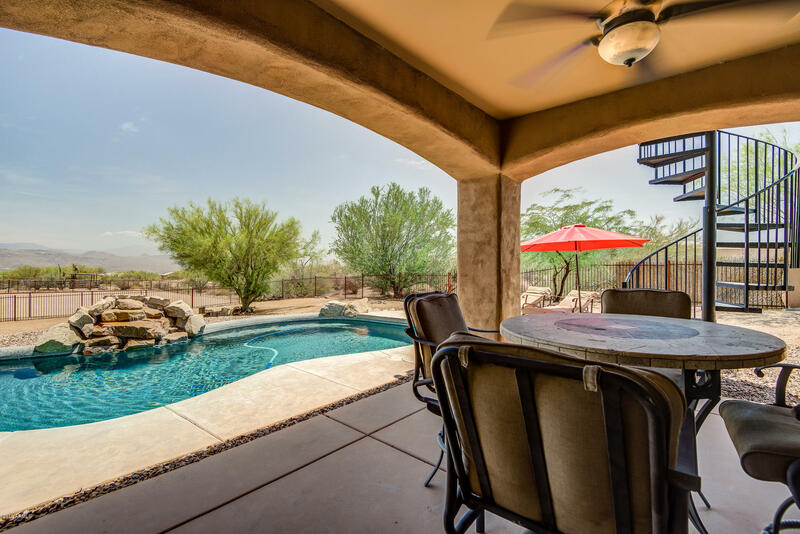 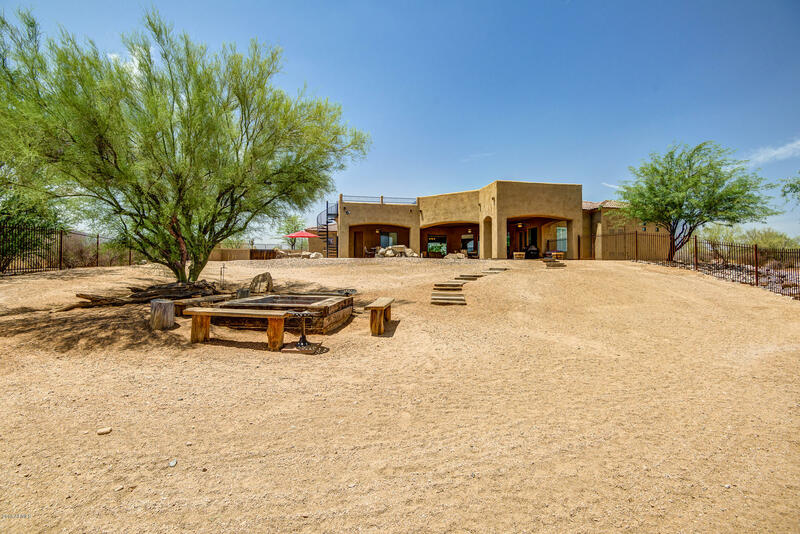 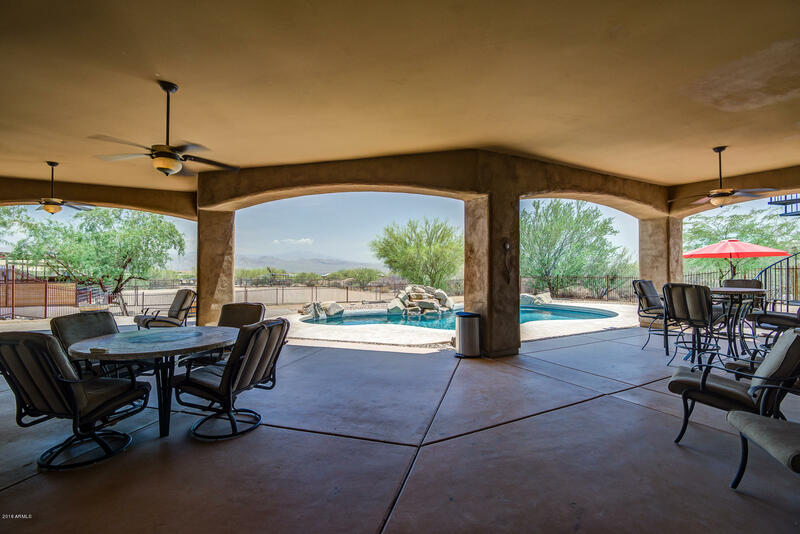 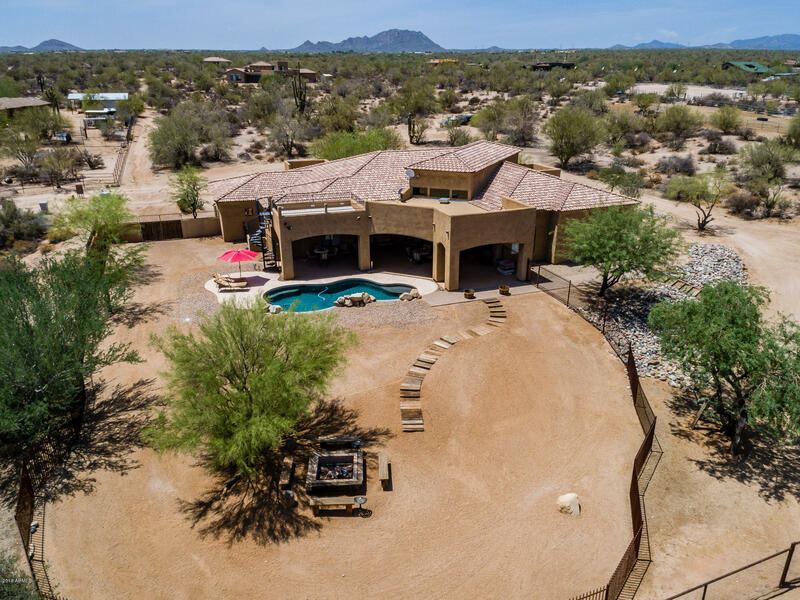 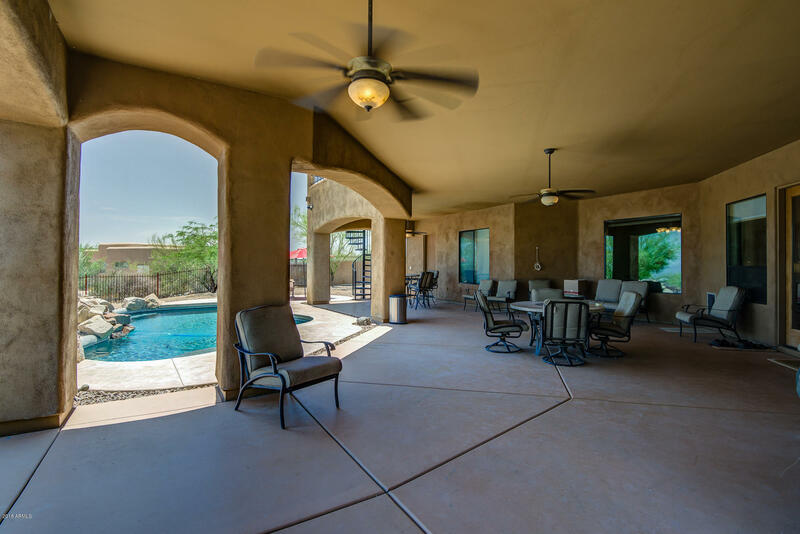 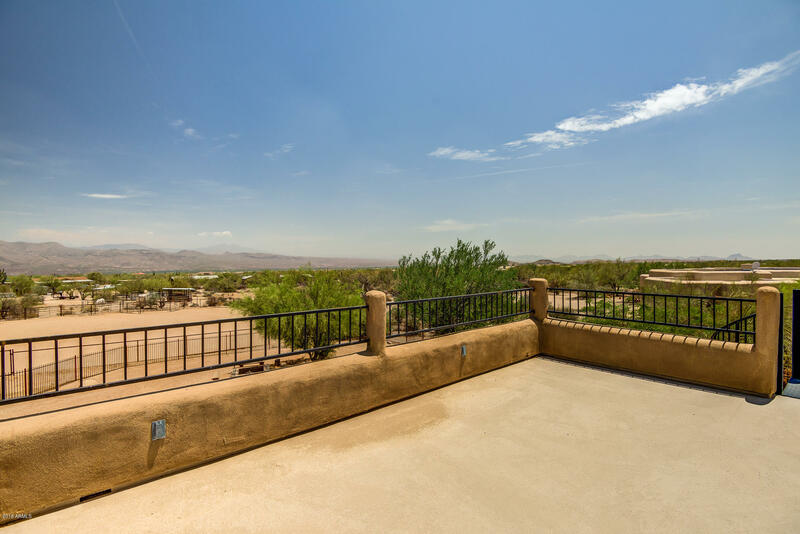 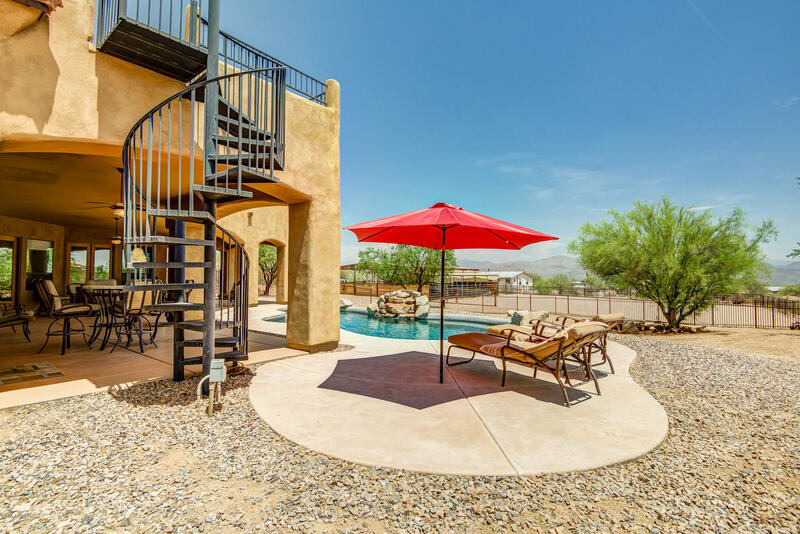 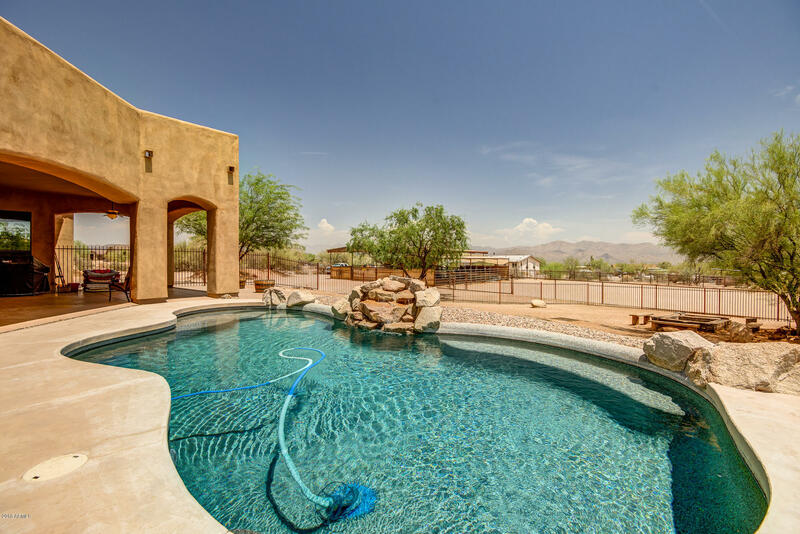 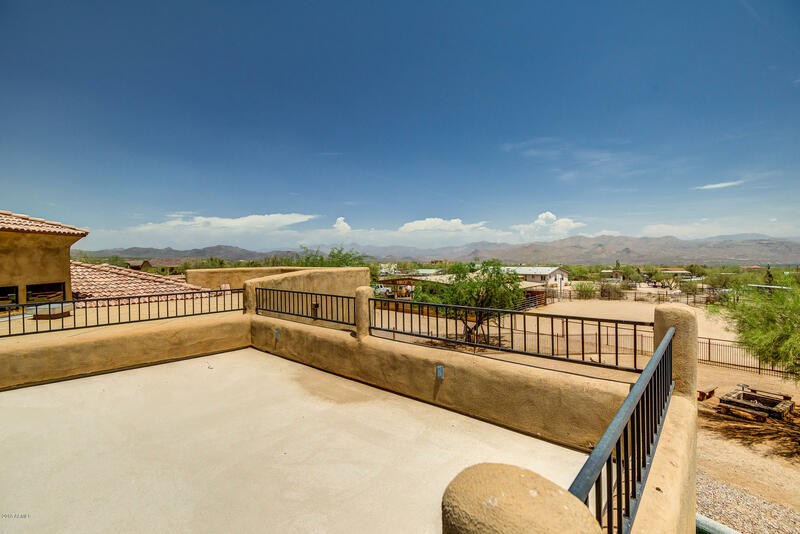 Enjoy the tranquility of this home & its incredible views from the expansive covered patio & pool area or go up on the roof top deck to soak it all in! 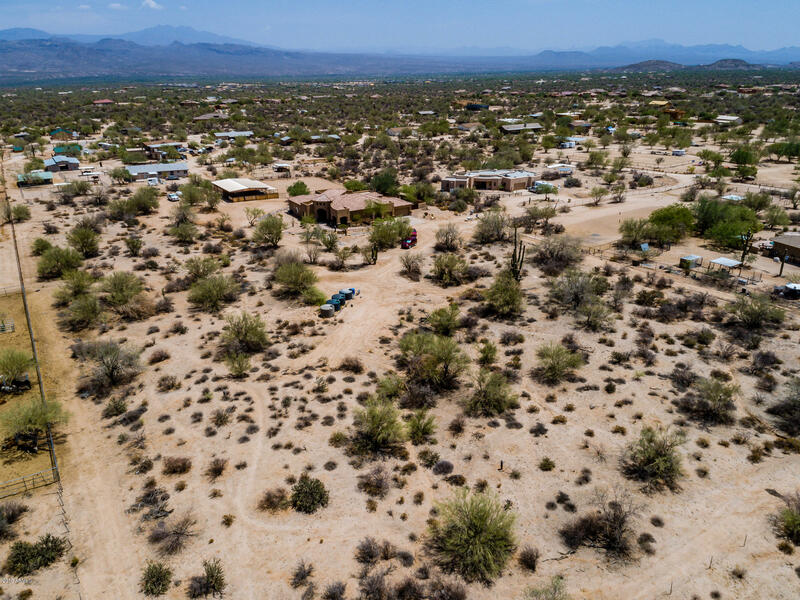 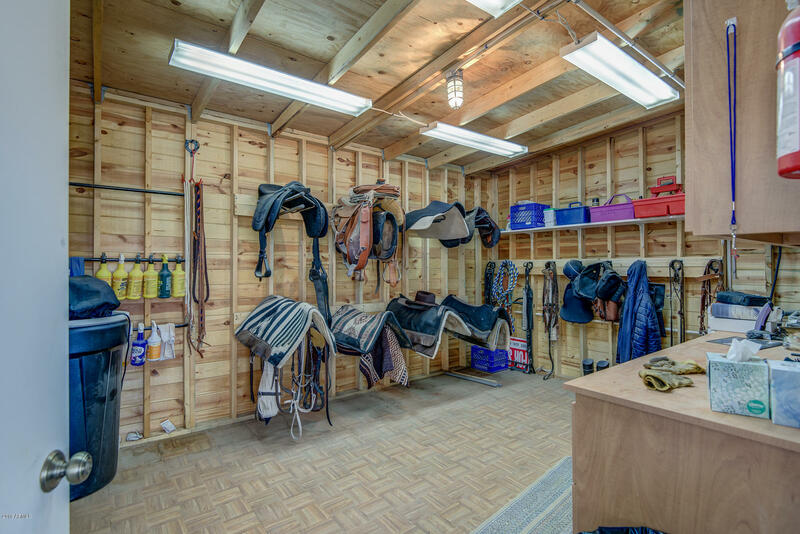 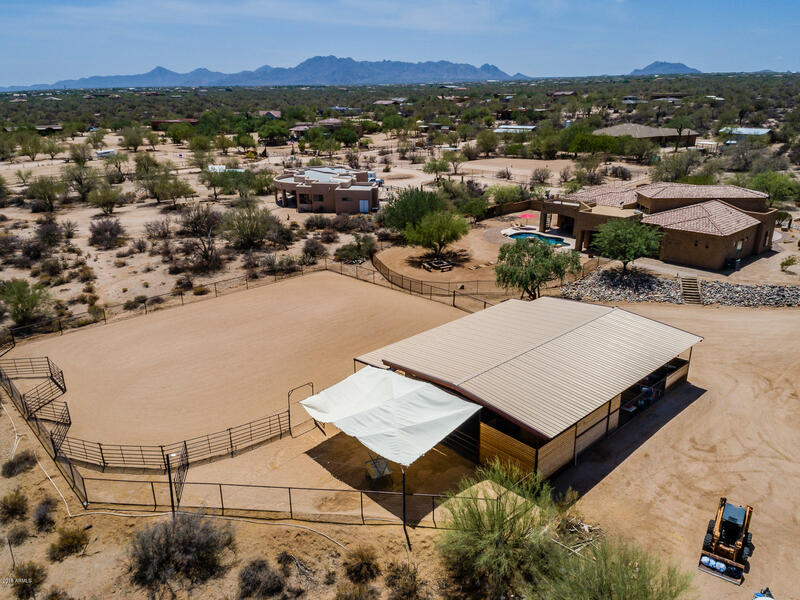 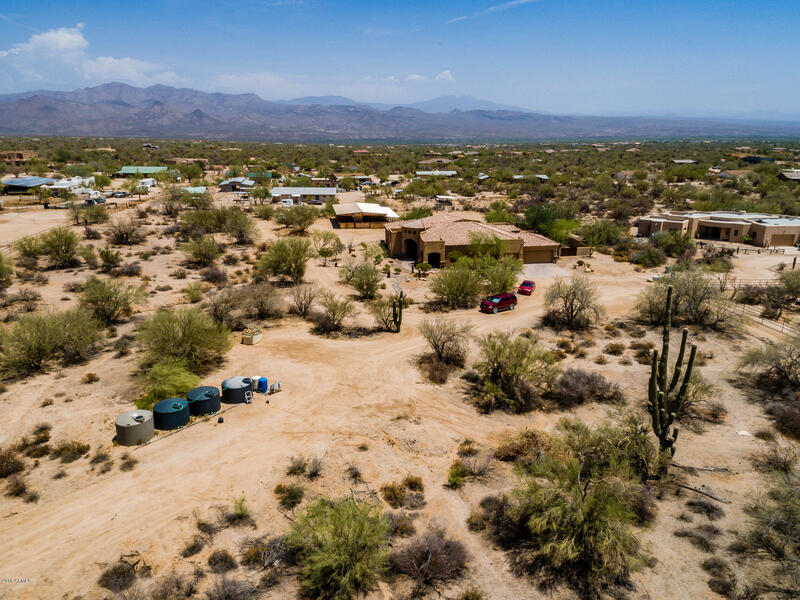 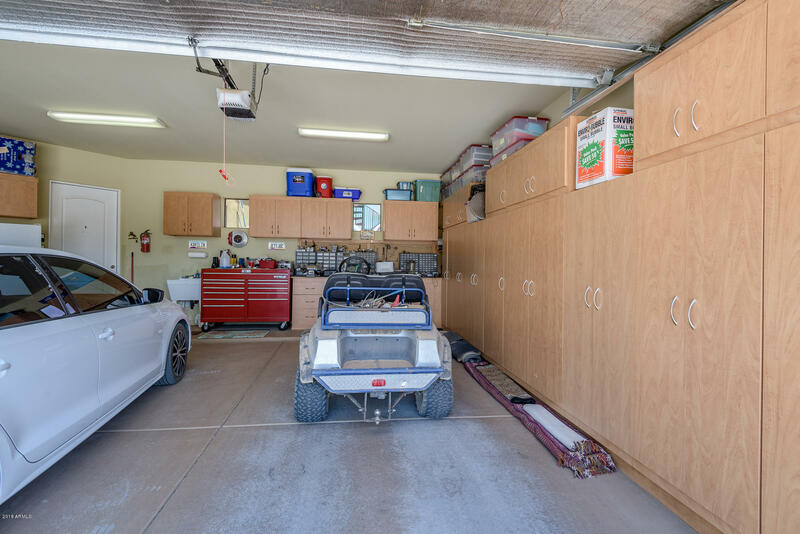 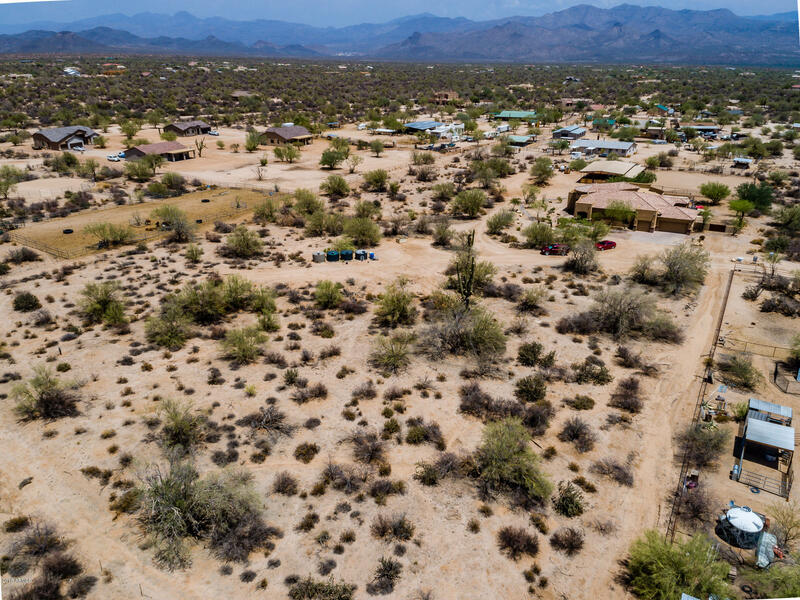 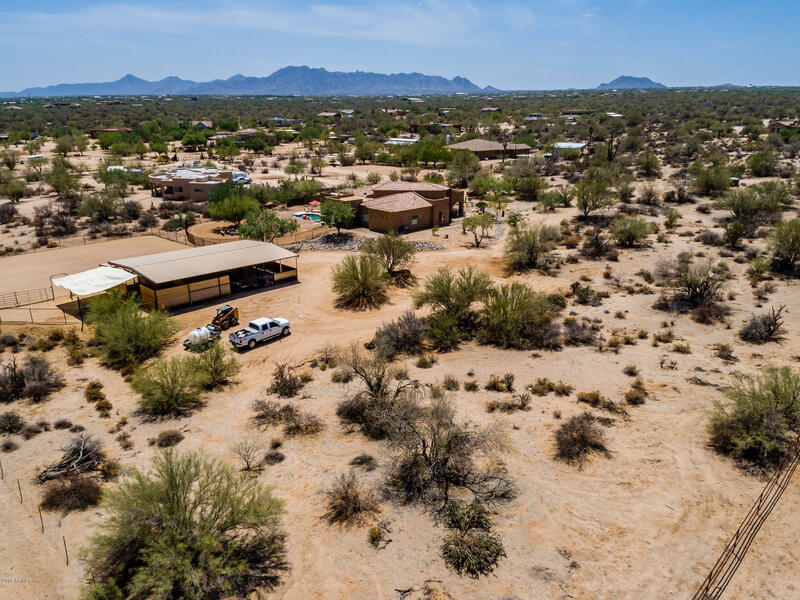 The barn is ready for your horses, has 6 stalls that could be turned into 12, large tack room, hay storage, fly-spray misting system & exercise arena. 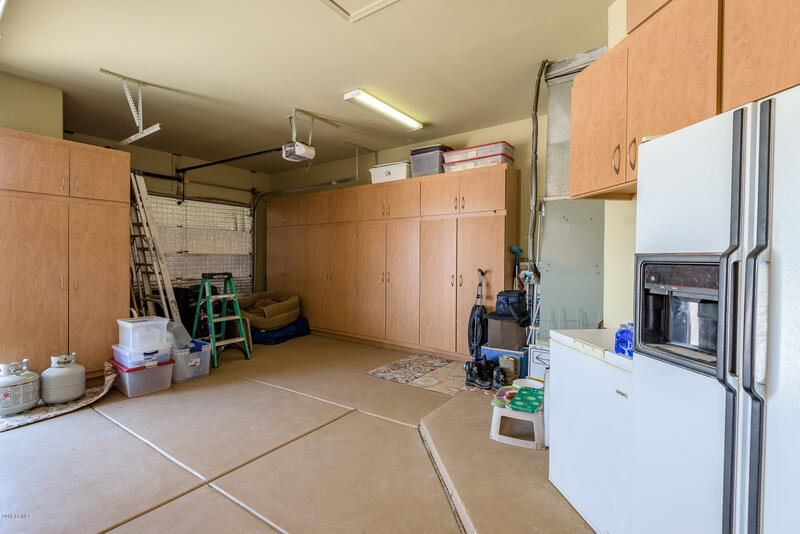 There is a total of 8,000 gallons water storage tanks & a monitoring system for water service. 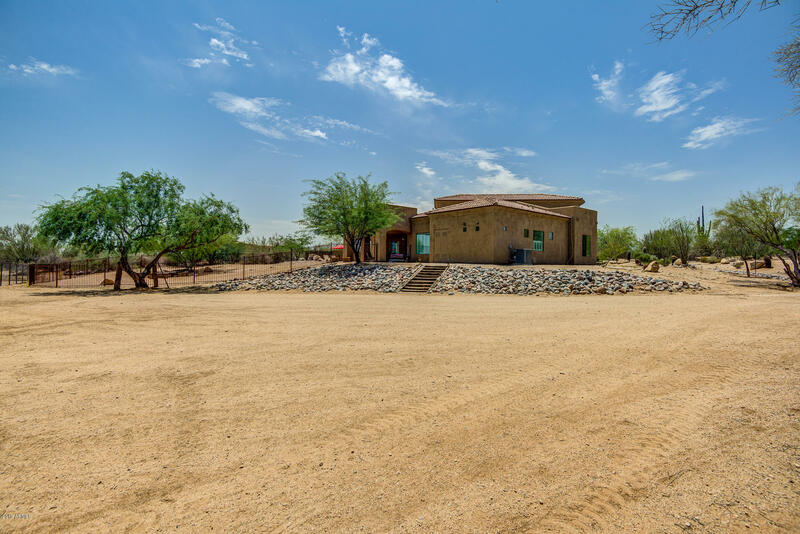 Private & quiet, at end of the road so you won't have any through traffic! 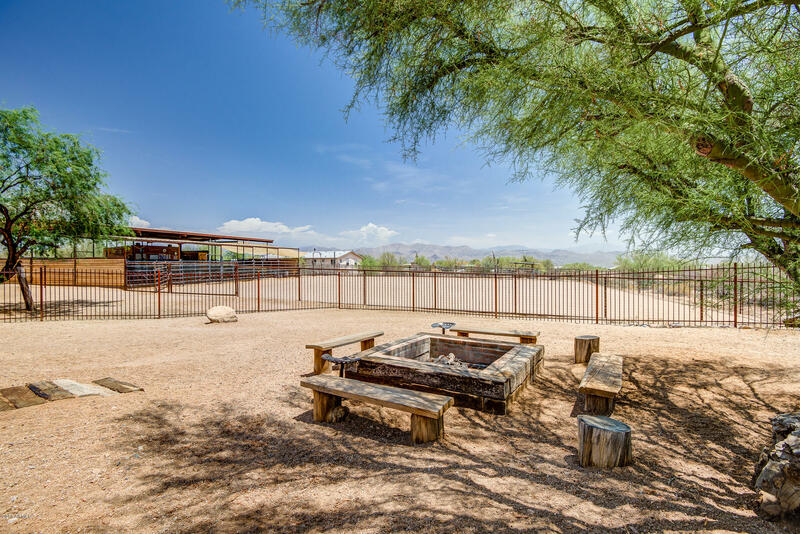 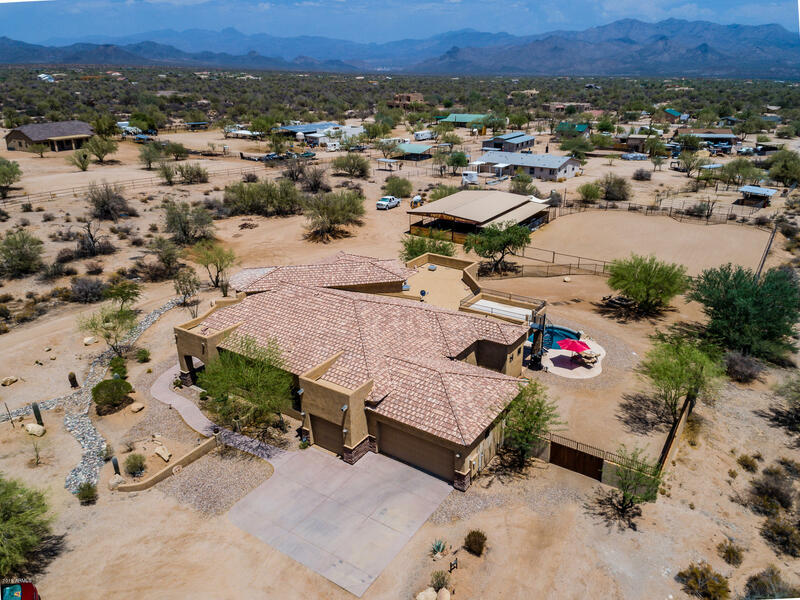 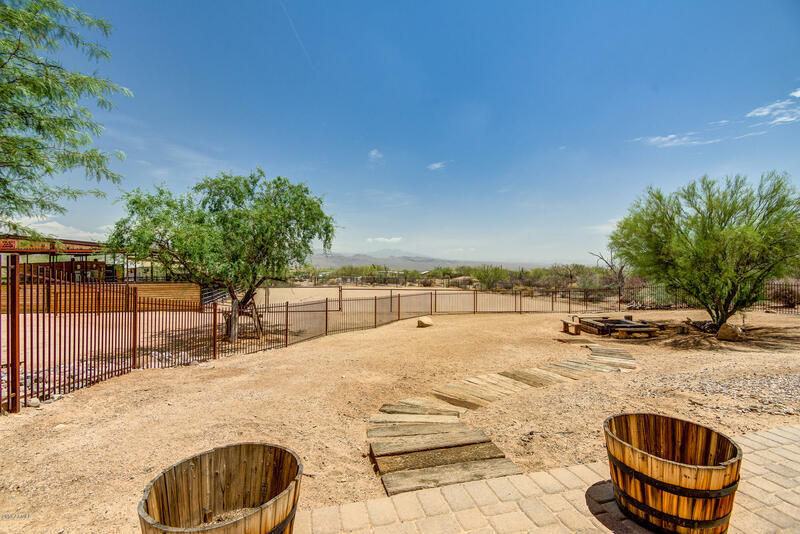 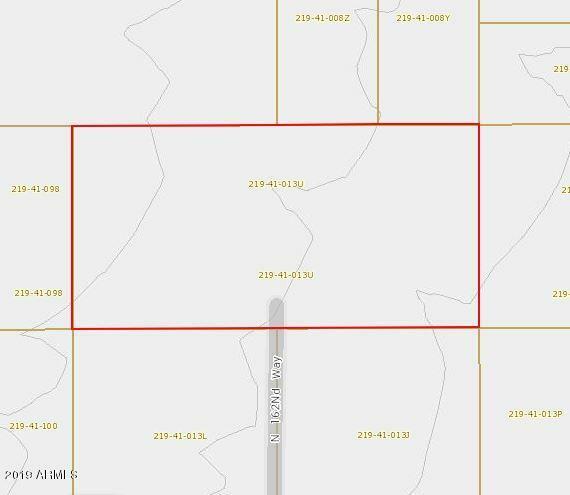 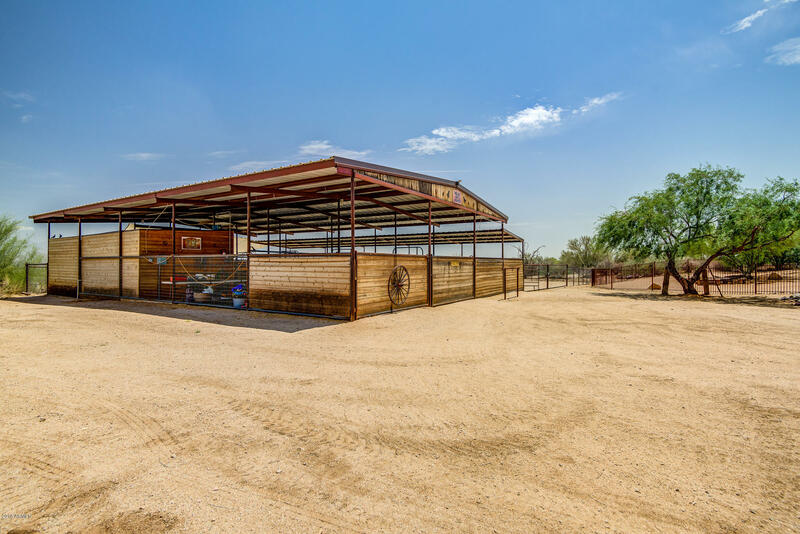 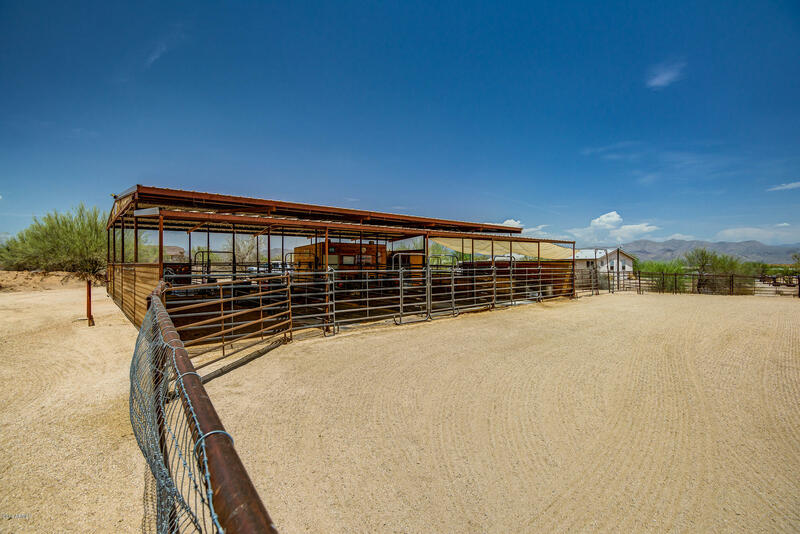 This custom horse property is ready for you to call it home!